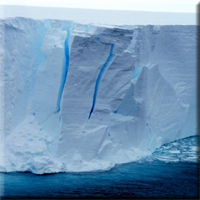 A region where the ice is cracking and may produce an iceberg. July 03, 2011 - Warming of the ocean's subsurface layers will melt underwater portions of the Greenland and Antarctic ice sheets faster than previously thought, according to new University of Arizona-led research. Such melting would increase the sea level more than already projected. Untrained feral pigeons have special skills enabling them to recognize individuals, and are not fooled by people changing clothes. July 02, 2011 - New research has shown that feral, untrained pigeons can recognise individual people and are not fooled by a change of clothes. Researchers, who will be presenting their work at the Society for Experimental Biology Annual Conference in Glasgow on Sunday the 3rd of July, have shown that urban pigeons that have never been caught or handled can recognise individuals, probably by using facial characteristics. 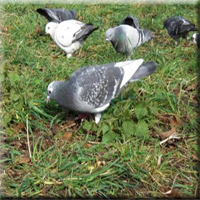 Although pigeons have shown remarkable feats of perception when given training in the lab this is the first research showing similar abilities in untrained feral pigeons. 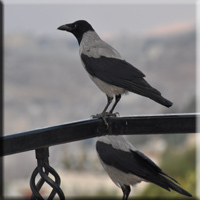 June 29, 2011 - Humans who dismiss birds as featherweights may revise their opinion when learning of crows that can not only identify the face of someone who is a danger but also teach others about the threat. Intrigued by the behaviour of wild American crows (Corvus brachyrhynchos) on their campus in Seattle, University of Washington scientists explored whether the birds would recall a face associated with a frightening ordeal. The researchers donned the rubber mask of a caveman before trapping, banding and releasing seven crows. June 30, 2011 - A musculoskeletal system so far unknown in the animal world was recently discovered in weevils. “Such a construction for animal leg movement is quite unusual, as large areas of skeletal parts move on top of each other. Supply of the leg takes place via a very small opening in the center of the screw,” Thomas van de Kamp from Karlsruhe Institute of Technology says. The heart is shown in lighter colors in the posterior part of the body. Credit: Gavin Merrifield. 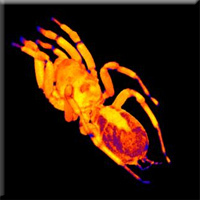 June 30, 2011 - Researchers have used a specialised Magnetic Resonance Imaging (MRI) scanner on tarantulas for the first time, giving unprecedented videos of a tarantula's heart beating. "In the videos you can see the blood flowing through the heart and tantalisingly it looks as though there might be 'double beating' occurring, a distinct type of contraction which has never been considered before. 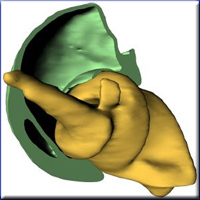 This shows the extra value of using a non-invasive technique like MRI," says PhD researcher Gavin Merrifield who is presenting the research at the Society for Experimental Biology Annual Conference in Glasgow on the 1st July 2011. 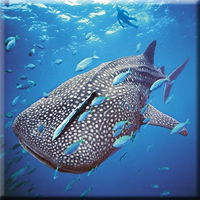 June 30, 2011 - At the moment, Rafael de la Parra has but one goal: to jump into water churning with whale sharks and, if he can get within a few feet of one, use a tool that looks rather like a spear to attach a plastic, numbered identification tag beside the animal’s dorsal fin. De la Parra is the research coordinator of Proyecto Dominó, a Mexican conservation group that works to protect whale sharks, nicknamed “dominoes” for the spots on their backs. 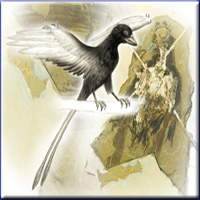 June 30, 2011 - Scientists report today that they have taken a big step in determining what the first birds looked like more than 100 million years ago, when their relatives, the dinosaurs, still ruled the Earth. At the Department of Energy’s SLAC National Accelerator Laboratory, they discovered chemical traces of a pigment, an important component of color, that once formed patterns in the feathers of the fossilized birds. The pigment, eumelanin, is one of the coloring agents responsible for brown eyes and dark hair in many modern species, including humans.